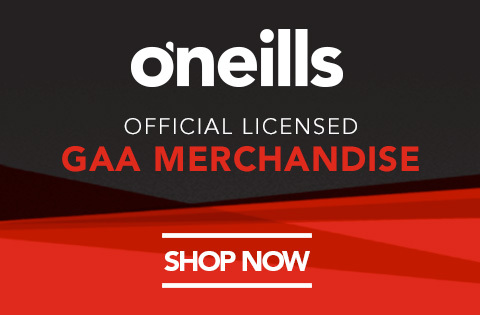 Donegal coasted into a seventh Ulster SFC final in eight years after a one-sided contest against Down at Clones. Having shocked Monaghan at the same stage last year, the Mournemen were hoping to upset the form book once again but they were totally outclassed by Declan Bonner’s rampant Donegal. 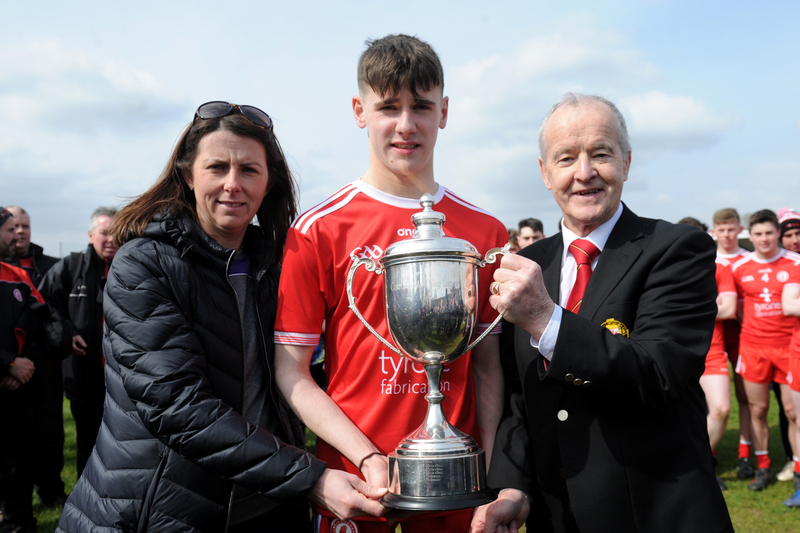 The hot favourites racked up 1-12 in the first half and 1-10 in the second – almost all without All Star fullback Neil McGee who received a straight red card after just 13 minutes for a knee in the back of Down forward Connaire Harrison. Donegal were already three points up at that stage and they actually notched up 1-8 without reply before Caolan Mooney registered Down’s first score in the 25th minutes. Leo McLoone scored the opening goal in the 21st minute, reacting quickest after Ciaran Thompson’s shot crashed off the upright and he pivoted to bury the ball past Marc Reid. The Down ‘keeper had a terrible afternoon with his kickouts, frequently launching the ball long in the first half straight to grateful Donegal men whenever the shorter kickout to unmarked Down men was the smarter option. He began to find greater accuracy in the 10 minutes before the interval and it paid off as they outscored Donegal by seven points to five. Harrison, freed from the shackles of Neil McGee, made hay against Caolan Ward while Donal O’Hare gave Paddy McGrath a torrid time. The Mourne duo scored 0-5 between them, four from play, on the scraps of possession Down were able to deliver inside. 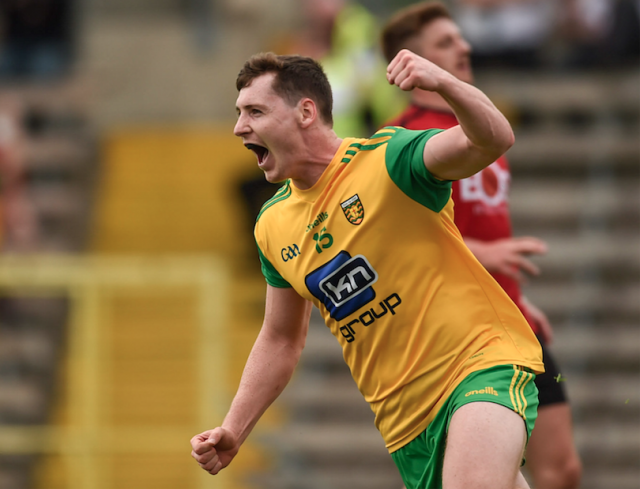 Eamonn Burns’ side needed a good start to the second half but instead Donegal continued where they left off with Michael Murphy, Paddy McBrearty and Jamie Brennan cutting the Down defence to ribbons. The inside trio hit 1-14 between them, 1-8 of that from play, with Brennan in particular finding a lot of joy in the second half with his searing pace. He landed a second Donegal goal after 45 minutes and an unselfish pass across to the back post by Ryan McHugh. Only for over-elaboration, Donegal could have added another three goals after the break as the game, which lacked intensity and atmosphere in front of 12,051, petered out. Down lost three players Ronan Millar (first half), Shay Millar and David McKibbon to black cards but Niall Donnelly did land a stoppage time goal to at least reduce their deficit on a difficult day to 13 points. 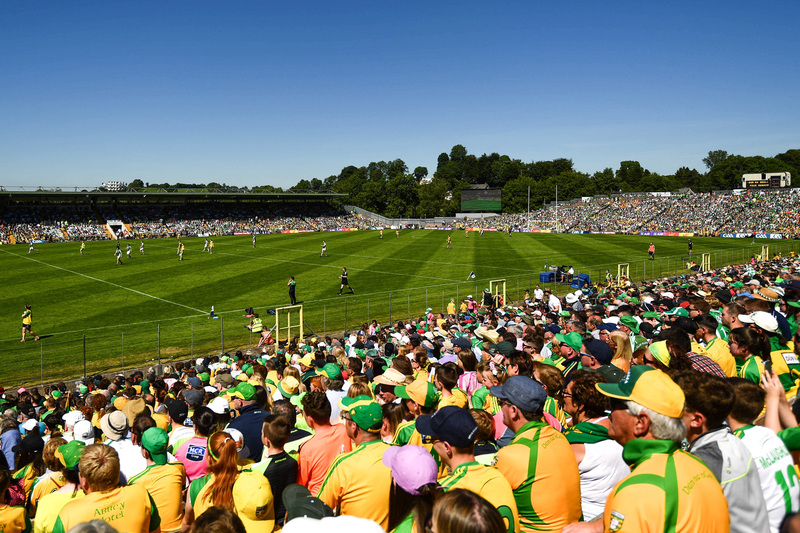 Donegal next play Fermanagh in the Ulster final on June 24, and after three easy victories on route to the decider against Cavan, Derry and Down, will know Rory Gallagher’s defence will be a far greater challenge than anything they’ve faced in the campaign so far. Scorers for Donegal: Paddy McBrearty 0-6 (3f), Jamie Brennan 1-3, Michael Murphy (0-5, 3f), Leo McLoone 1-0, Paul Brennan, Ryan McHugh 0-2 each, Caolan Ward, Ciaran Thompson, Daire O Baoill, Mark McHugh 0-1 each. Scorers for Down: Connaire Harrison 0-4, Donal O’Hare 0-4 (3f), Niall Donnelly 1-1, Conor Maginn 0-2, Caolan Mooney 0-1. DONEGAL: Shaun Patton; Paddy McGrath, Neil McGee, Eoghan Ban Gallagher; Caolan Ward, Paul Brennan, Ryan McHugh; Hugh McFadden, Leo McLoone; Ciaran Thompson, Michael Langan, Frank McGlynn; Paddy McBrearty, Michael Murphy, Jamie Brennan. Subs: Daire O Baoill for Langan (43), Odhran MacNiallais for McLoone (48), Cian Mulligan for Thompson (48), Stephen McMenamin for Gallagher (55), Mark McHugh for McGlynn (58). 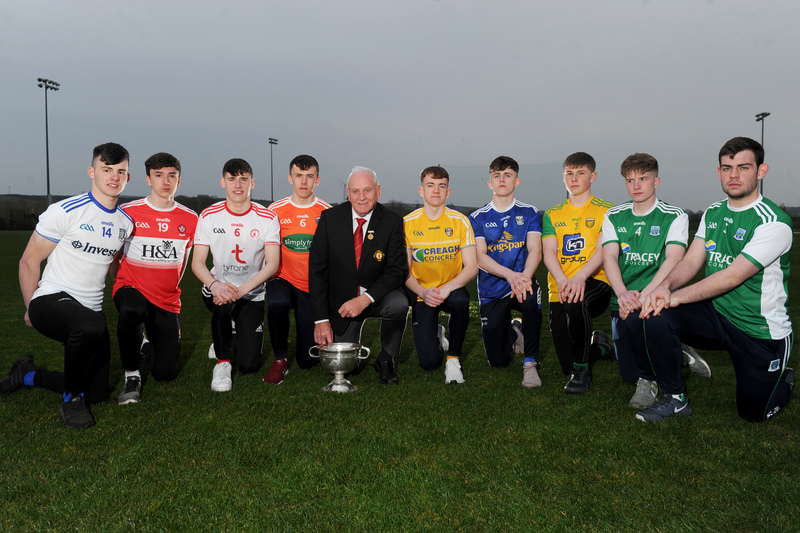 DOWN: Marc Reid; Colm Flanagan, Brendan McArdle, Anthony Doherty; Darren O’Hagan, Niall McParland, Caolan Mooney; Peter Turley, Niall Donnelly; Kevin McKernan, Conor Maginn, Shay Millar; Donal O’Hare, Connaire Harrison, Ronan Millar. Subs: Ryan Johnston for Ronan Millar (BC, 22), Ruari Wells for McParland (HT), Sean Dornan for Shay Millar (BC, 38), Conor Poland for Doherty (48), David McKibbin for Turley (55), Johnny Flynn for McKibbin (BC, 65).